Chinese travelers are visiting the United States in increasingly large numbers -and will continue to do so- according to two recent NTA reports. 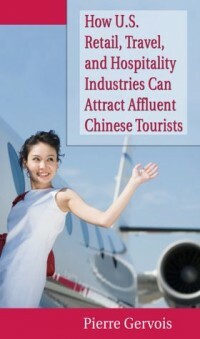 The majority of Chinese tour operators confirmed that bookings to the United States increased, by an average of 16 to 20 percent, in the second quarter of 2011, as reported in the China Travel Trade Barometer. None of the surveyed operators reported a decline. The Barometer, produced quarterly by NTA, in partnership with Travel Market Insights and Ivy Alliance, captures input from top Chinese travel firms that promote and sell travel to the United States. This increase is in line with an NTA report of its China Inbound Program. Based on a survey of U.S. tour operators registered with the program, which serves Chinese leisure group travelers visiting the United States, the number of tourists during the first quarter of 2011 was 99,752. Prior to the 2010 opening of the NTA Visit USA Center in Shanghai, a baseline of 46,709 leisure group travelers visited the United States during the second quarter of 2010. The baseline was established to monitor the progress of the NTA Visit USA Center and inbound travel from China to the United States. The Department of Commerce estimates that every Chinese visitor spends an average of more than $6,000, including airfare with U.S. carriers. In 2010, 802,000 Chinese travelers visited the United States, which includes all travelers from China, not just those calculated by the NTA China Inbound Program. And continued growth is on the horizon, according to the China Travel Trade Barometer. 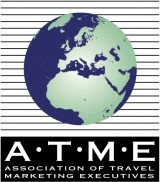 Nearly all Chinese tour operators surveyed (92 percent) project an increase in 2011 third-quarter bookings from China to the United States. And for the fourth quarter of 2011, 77 percent of operators project bookings to be higher, with only 8 percent anticipating a drop from the same period in 2010.